Thanks for the review and recommendation. I am new to this brand... Will check it out for sure. The shade looks really great and suits you!! I often get asked how come my makeup collection is not cruelty free even though I am a vegetarian (P.S I am NOT vegan). Though I don't see the connection between the two, I completely support the idea of have a makeup collection that has cruelty free brands. One of the reasons I have probably not given it as much thought until now is because the availability of such brands in India was far and few. It was not possible for me to get someone to get my cosmetics from abroad every time I wanted new makeup. However for the past year I have been slowly reduced buying makeup from brands that are not cruelty free. I can't just throw out my existing collection but I can phase out brands. Like I have not bought anything from MAC in 6 months and I haven't bought anything from L'Oreal or Maybelline in close to 10 months. So yeah it is a process that I am working on just like I am working on creating a sustainable wardrobe. 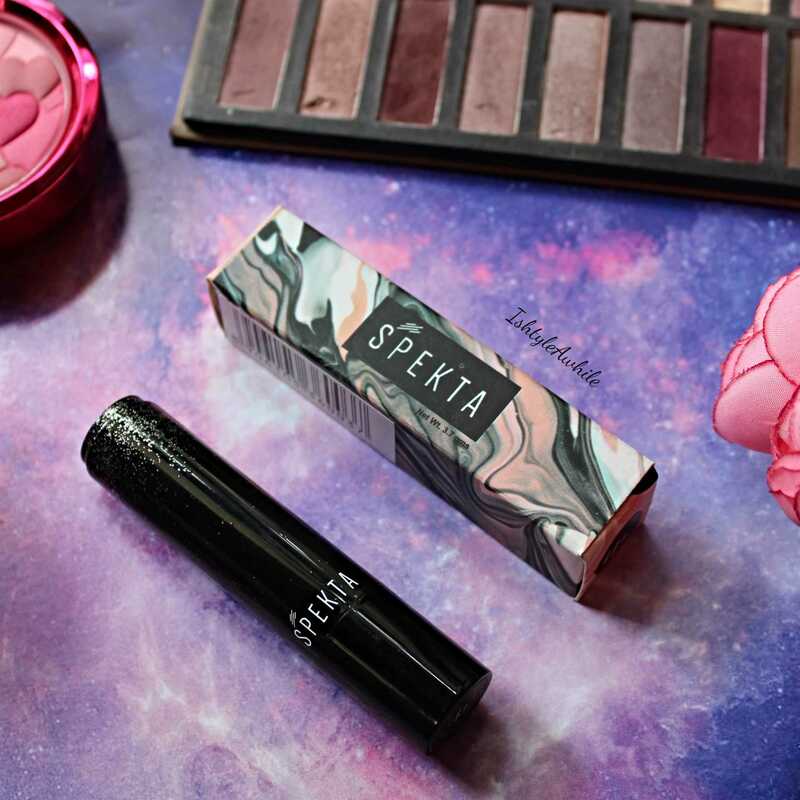 Spekta cosmetics caught my eye on Instagram because they are a vegan and cruelty free brand based in India. Woohoo to indie brands growing by the day. They have a range of lipsticks 10 -both matte and shimmer (6 matte and 4 shimmer) all priced at 550INR. The lipsticks are also paraben and fragrance free. After looking at the swatches of all the shades I decided to buy Alpha. Alpha is one of their really fast moving shades. 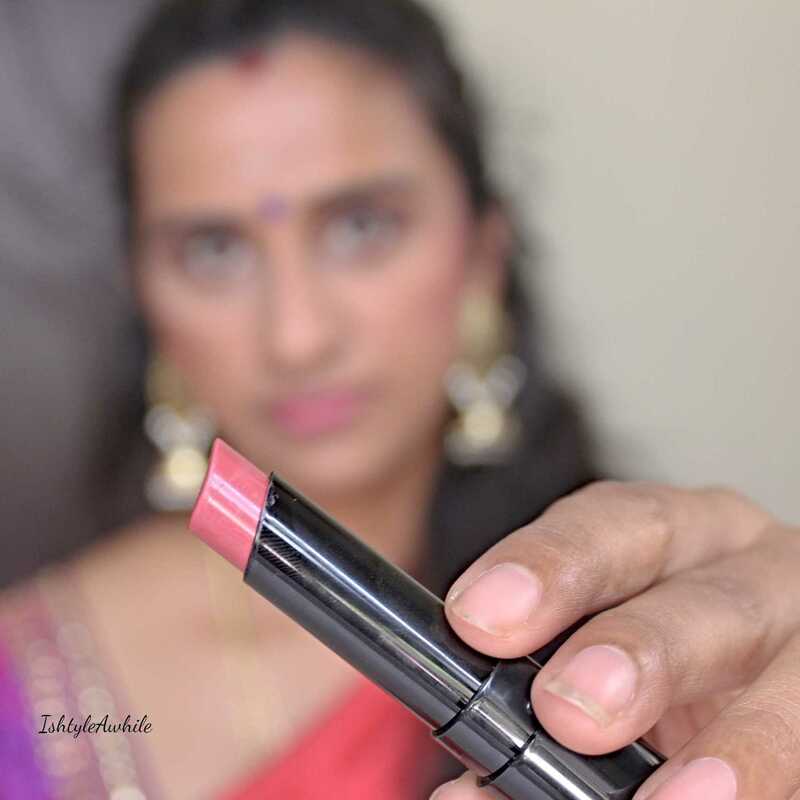 It is matte, has a beautiful rosy pink colour that is meant for everyday wear. The shade reminds me of Rosy Sunday from Lakme 9-5 range. 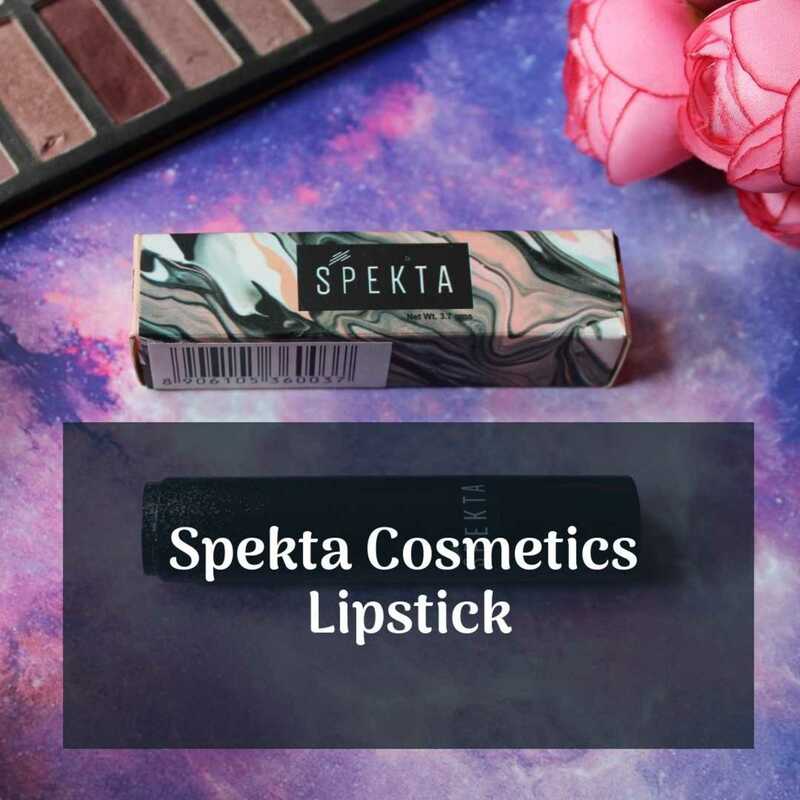 It has ingredients such as Shea butter, Cocoa butter and Vitamin E.
My experience using Spekta Cosmetics Lipstick. The packaging of the Spekta Cosmetics Lipstick is absolutely celestial. I mean the whole silvery shimmery vibes sprinkled on a plain black tube is subtle and classy. The bullet is a clean flat top which I feel makes it easy to apply directly on the lips and I use the sides for precision on the outer lining. The bullet is a bit stiff but does not tug on the lips. It glides on the lips but is not highly pigmented. It need 2-3 swipes and the colour builds up without cracking. It feels soft and hydrating on the lips and the lipstick lasts for 5 -6 hours with meals. The colour does start to fade but it fades into a pretty tint and does not flake like matte liquid lipsticks. 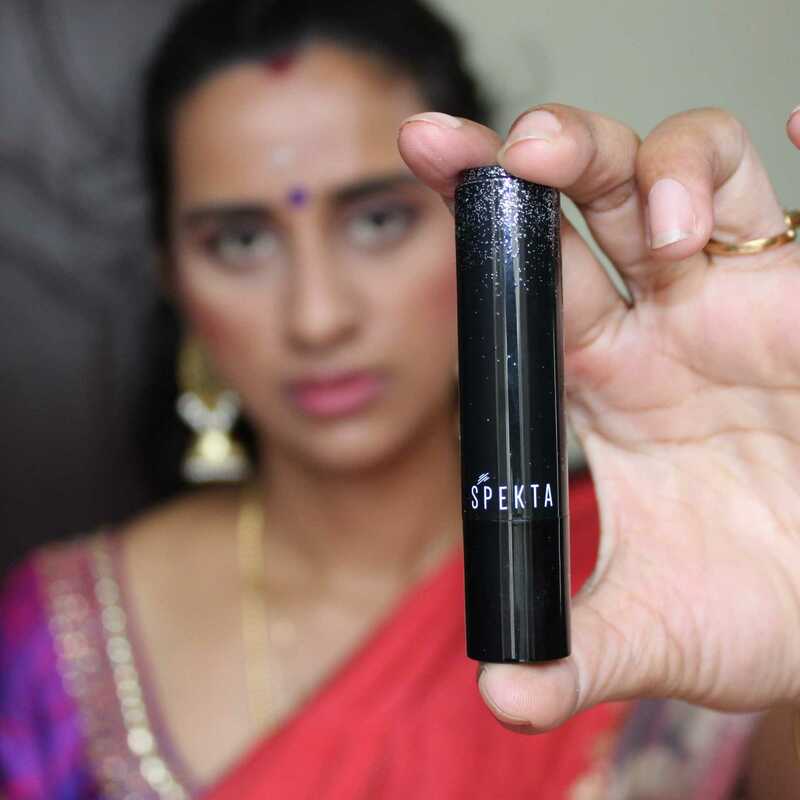 It is super light weight and my lips don't feel dry when I use the Spekta Cosmetics Matte Lipstick. 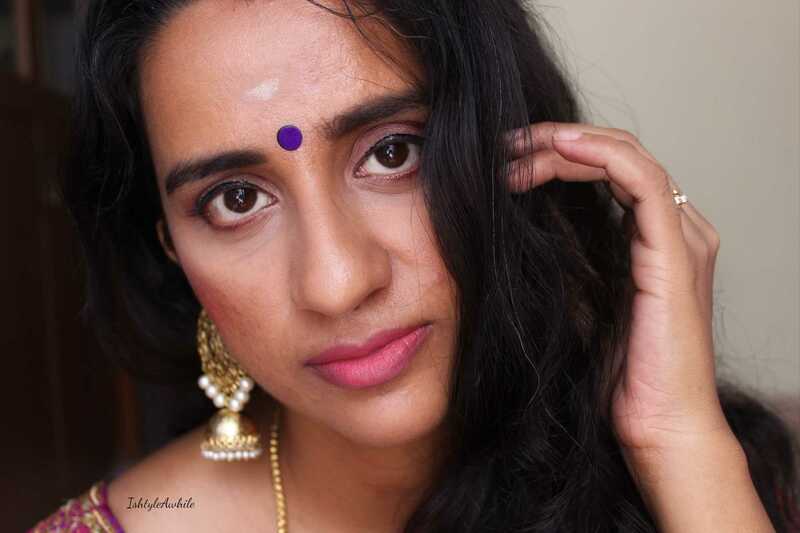 I am quite impressed with this lipstick and have found myself using it for everyday wear, for festivals, functions, basically a lot. 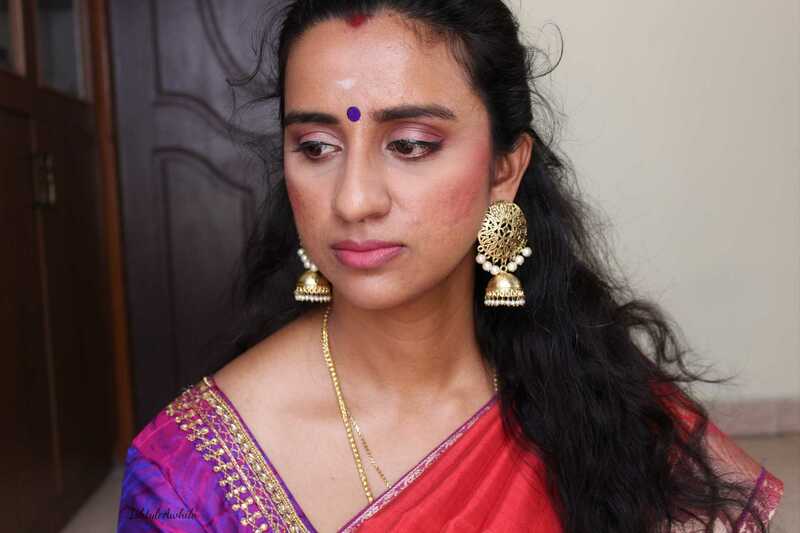 Here are a few pictures of a makeup look that I did for a wedding using this lipstick. Overall I really like this lipstick from Spekta Cosmetics. 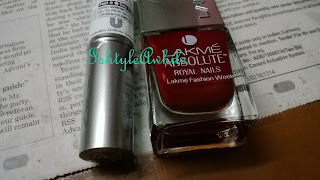 The shade is great for daily use, the price point is affordable, the colour stays on for a while and it is not too drying. More than anything it is a homegrown brand and I would be super happy to repurchase it. Have you tried this brand? Would you support a vegan, cruelty free indie cosmetic brand? Let me know your thoughts on this. If you liked this post, don't forget to share it on Facebook, Twitter, Instagram or Pinterest. Spread the word about this awesome cosmetics brand. 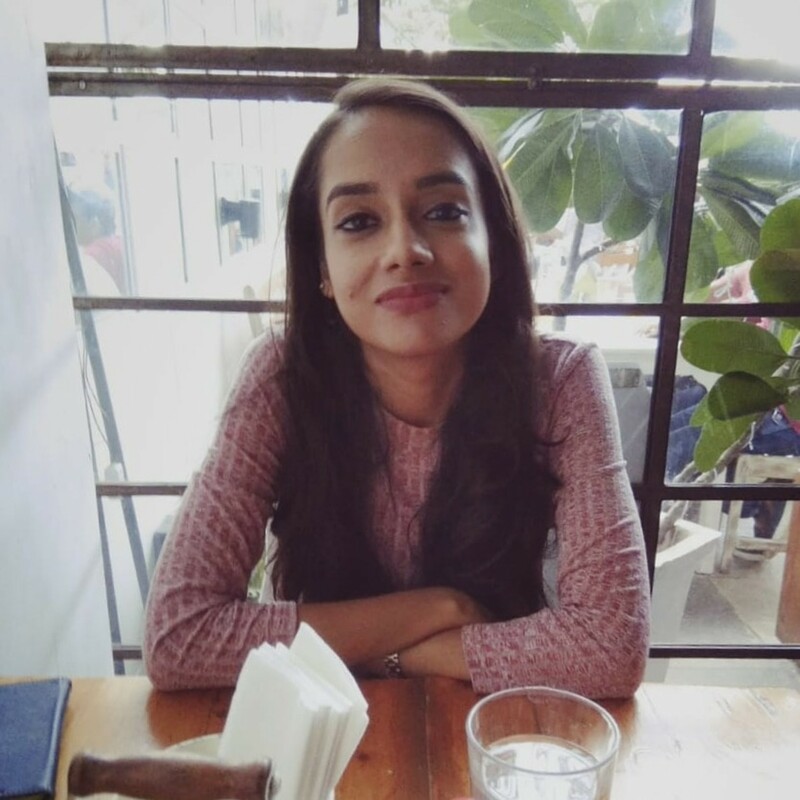 Also follow IshtyleAwhile on Instagram, Facebook, Twitter and Pinterest where I talk about new brands and products that I discover in Real Time. Stay subscribed via email for weekly posts. Oh I also have a YouTube Channel where I have been uploading makeup tutorials and a second blog called IrisMontage which is all about food, books and travel So do check it out. 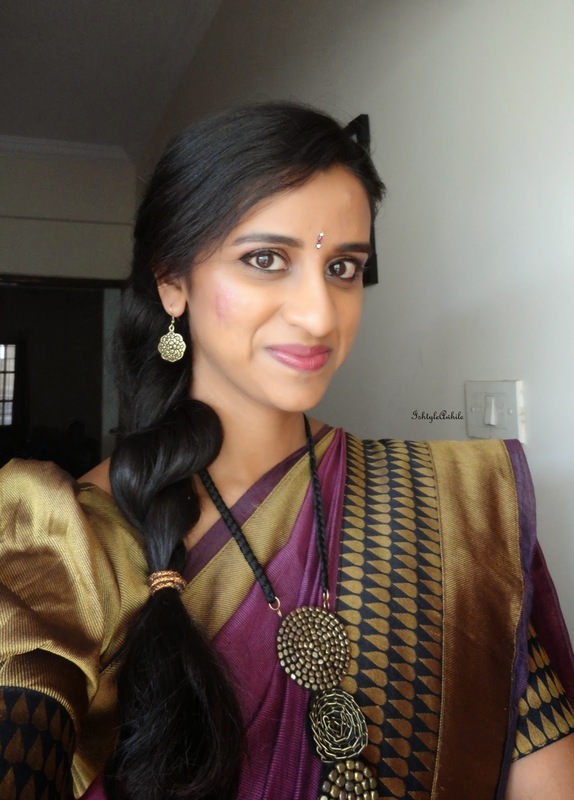 Of Festivals and a mini Giveaway! !